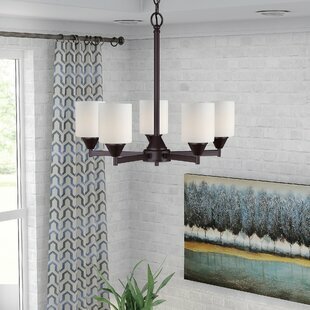 Illuminate your space in streamlined, contemporary style with this architectural five-light shaded chandelier. 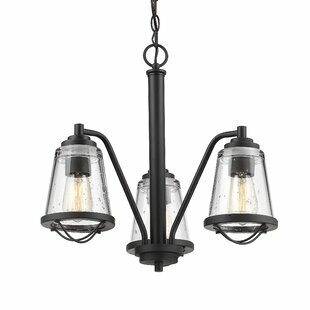 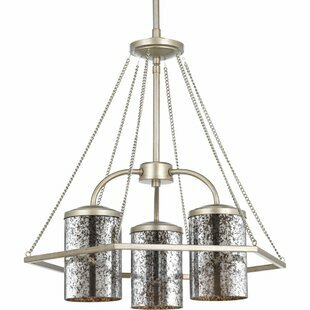 Crafted of steel in a fashionable finish, this unit fixture features a circular pendant holder with five bowed strap arms. 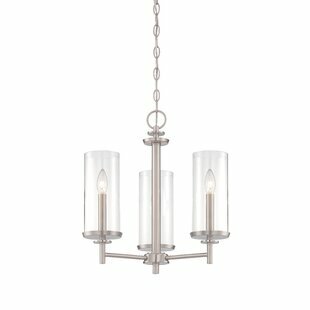 Secured from five rod posts, cylindrical white satin opal glass shades ensconce 75 W incandescent or LED equivalent bulbs (not included) to diffuse bright light throughout your space. 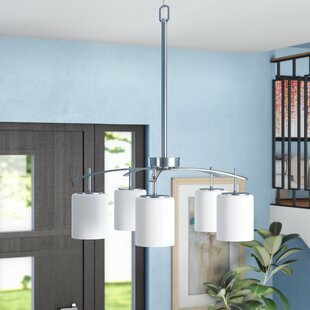 An adjustable length of chair suspends the unit from a sloped ceiling-compatible... 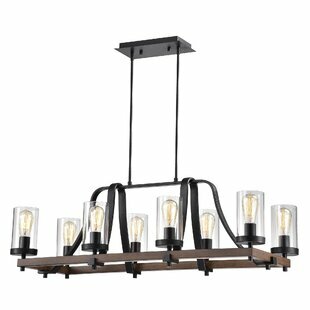 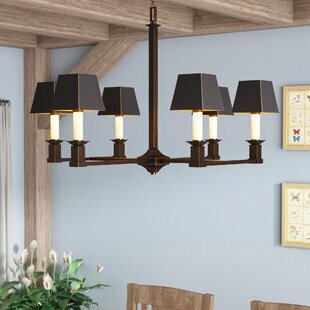 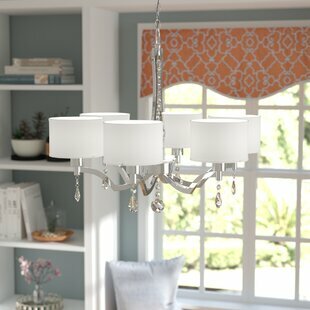 Number of Lights: 5 Fixture Design: Shaded Chandelier Overall Height (Hanging): 63.25 Fixture: 25.25 H x 22.25 W x 22.25 D Overall Weight: 9lb.